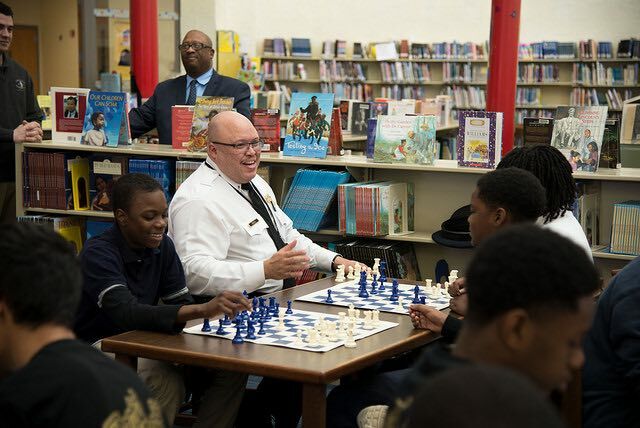 These boys in blue are doing their duty to protect and serve the community by playing facing off with the city’s youth – facing off over a chess board, that is. 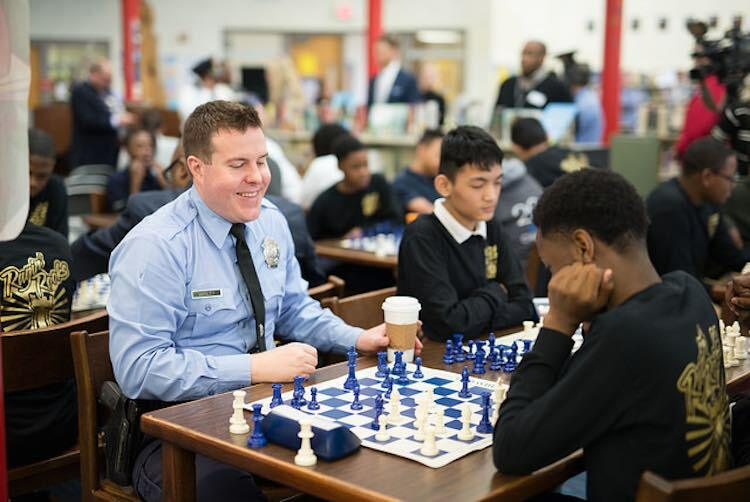 The St. Louis Police Department has partnered with the Chess Club and Scholastic Center of Saint Louis, and St. Louis public schools in order to promote positive relationships within the community. 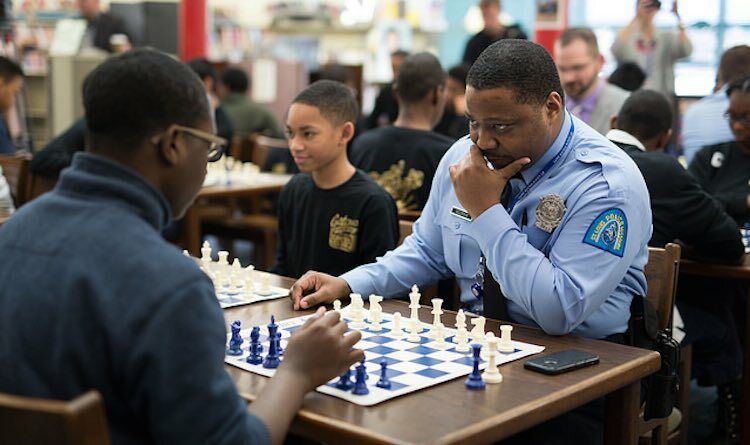 The St. Louis CHESS Cops – or “Cops Helping Enhance Student Skills” – are a team of nine different police officers who have been certified chess instructors. The group then teaches classes for inner-city youth, which serve to educate them on critical thinking skills, planning, on logic. The program also comes at a time when relationships between Missouri law enforcement and inner-city communities are strained – especially since the discourse in Ferguson and Florissant a few years previously. 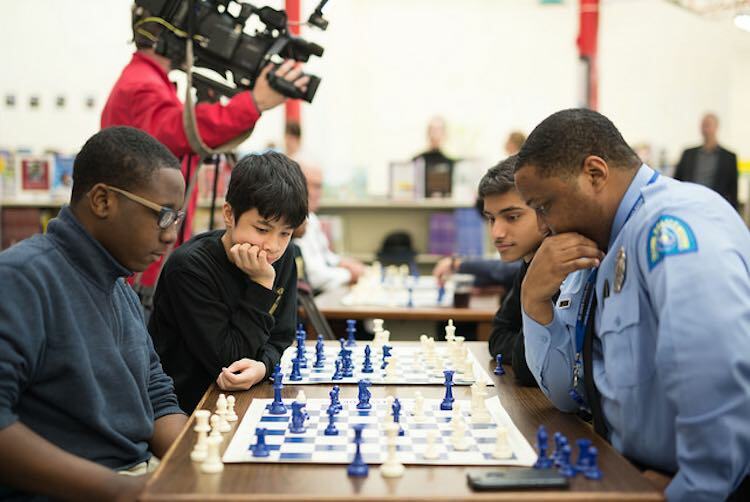 When the CHESS cops held their first kick-off event yesterday at Gateway Middle School, however, the results were magical.